Facebook is definitely focusing on live video. Not only did the social network announce that it was ranking live video higher in the search results a few months ago, but now it is unveiling new ways for users to discover, share and interact with the content type. For starters, Facebook has introduced the ability to go live in Facebook Groups and Events. With this feature, users can broadcast to just the people in the Facebook Group, meaning users can go live from a family group or within a fitness group. Live in events, on the other hand, can be used to go live from an event that someone couldn’t make it to. What’s more, the feature can be used to schedule a live Q&A session. In addition, Facebook has unveiled some new interactive features for Live. For example, Live Reactions make it easy for viewers to express their feelings in real-time during a broadcast. These reactions are expressed with the same reactions available in the News Feed, which include Love, Haha, Wow, Sad and Angry. The reactions appear in real-time and disappear quickly to give viewers and broadcasters a better idea of how people are feeling during the video. 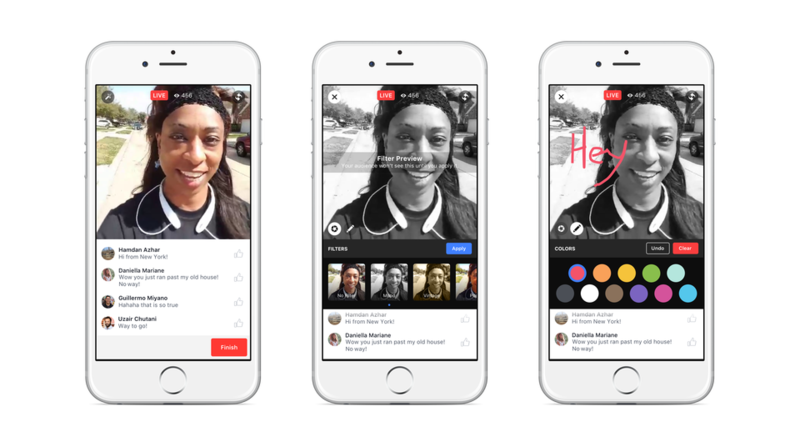 What’s more, Facebook is adding a set of five filters to its live video functionality, and will be adding the ability to draw or doodle on live videos soon. “Live video on Facebook is truly interactive as broadcasters engage with their commenters and respond to their suggestions and questions. In fact, from initial data, we’ve seen that people comment more than 10 times more on Facebook Live videos than on regular videos. We want people watching the broadcast after the fact to feel “in” on the action. To achieve this, we will replay comments as they happened during the live broadcast when people watch it later,” Facebook said in its announcement. It is also important to note that Facebook has unveiled some new discovery features for live video. For instance, the social network added the option to send an invitation to a friend to watch with you directly from the live video screen. 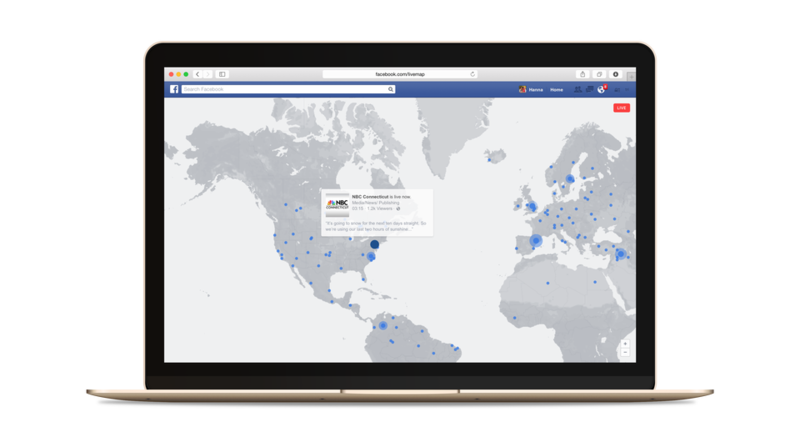 Moreover, the social network added a dedicated place on its mobile app where users can discover live video from friends and other creators, as well as a new Facebook Live Map for desktop that helps users find broadcasts from across the globe. Lastly, Facebook has unveiled metrics for Pages sharing live video. “We’ve been humbled by all the amazing and creative ways that people have used Facebook Live so far, and we’re committed to creating the best experience for everyone who wants to create, watch and interact with live videos on Facebook. These features will be rolling out on iOS and Android over the coming weeks. We’ll keep working to bring you the best ways to broadcast, interact with, and discover live video,” said Facebook. If your brand is interested in leveraging live video for its social initiatives, check out Website Magazine's "Guide for Going Live on Facebook."